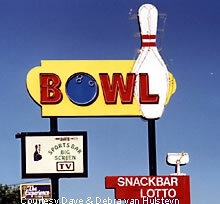 Here's an interesting looking bowling alley marquee from Tracy, CA. It's always good to see alleys with the traditional bowl script. This bowling alley is called Tracy Bowl. Over in Pacifica, California is the Sea Bowl. The interesting front facade looks part navy ship, part deco, and part department store. Check out the old marquee for Felton Bowl. The coffee shop is open daily so stop by for a quick couple of games and a cup of coffee. Here's a good looking marquee for Mels Bowl. Here's a shot of the Restaurant signage at the bowling alley. 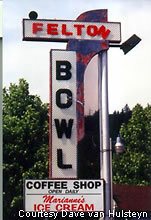 Mels Bowl first opened in 1960 and over the years around 1969 the name changed to the Redwood Lanes Bowling Center. The founder Mel Weiss also co-founded the well known Mel's Drive-in chain of restaurants. This marquee for the Pacific Bowl in Stockton still lights up the sky with it multicolors. 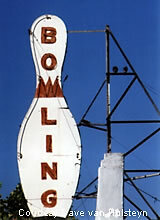 This huge bowling pin advertises the Cardinal Bowl in Sacramento. This bowling alley and marquee for the Capitol Bowl is still in service. 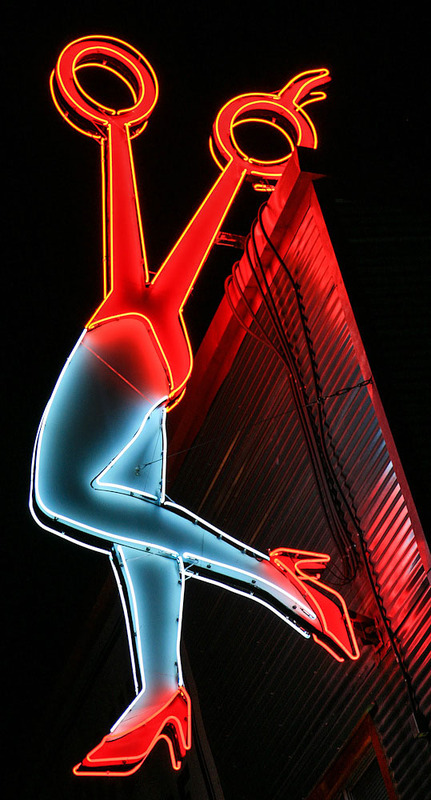 Unfortunately most of the old roadside motel nearby had its signage replaced with backlit plastic in recent years.